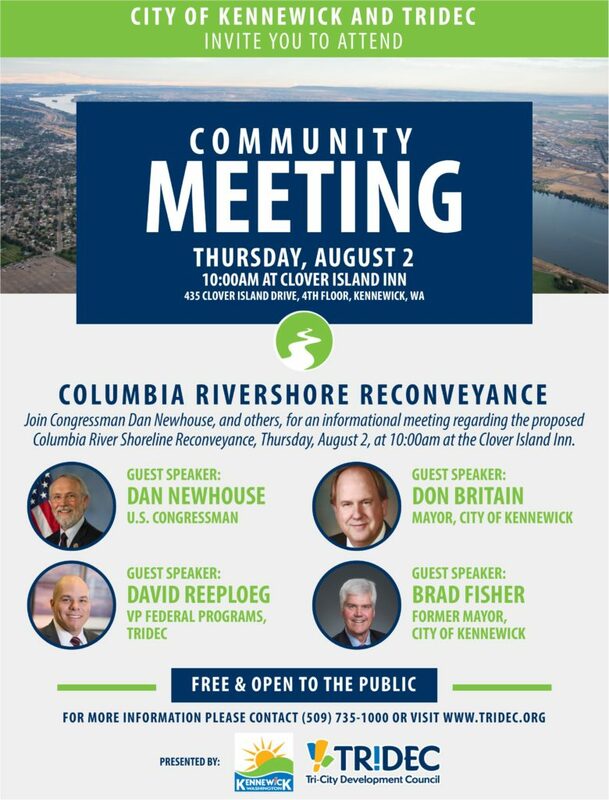 Join us for the first in a series of Community Meetings regarding the Columbia Rivershore Reconveyance featuring Special Guest Congressman Dan Newhouse. We are excited to announce that TRIDEC is partnering with the cities of Kennewick, Richland and Pasco to co-host community meetings to discuss the proposed Columbia River Shoreline Reconveyance. We hope that you will join us to learn more about the proposal, and to show your support! Additional meetings are being planned as well, and we will announce those details as soon as they are confirmed. Come and learn more about the proposal and to show your support!